Now, the rest of the world also needs to get used to the new normal: a China in the midst of a tectonic shift in its giant economy that is rattling markets world-wide. The slowdown deepening this year is part of a bumpy transition away from an era when smokestack industries, huge exports and massive infrastructure spending—underpinned by trillions in state-backed debt—powered China’s seemingly unstoppable rise. Today, debt has swelled to more than twice the size of the economy, and some of those industries, such as construction and steel, are reeling. Instead of them, China is pushing services, consumer spending and private entrepreneurship as new drivers of growth that rely less on debt and more on the stock market for funding. via The World Struggles to Adjust to China’s ‘New Normal’ – China Real Time Report – WSJ. India’s air force risks a major capability gap opening up with China and Pakistan without new western warplanes or if local defence contractors can’t produce what the military needs in a timely manner. A 2012 agreement to buy 126 Rafale fighters from France’s Dassault Aviation (AVMD.PA) has stalled due to a dispute over the assembly of the aircraft in India. India’s first homegrown fighter, the Tejas light combat aircraft, will finally be delivered next month, 30 years after it was conceived. But senior air force officers privately said they were unimpressed, with one former officer, an ex-fighter pilot, saying the plane was “so late it is obsolete”. While the navy is undergoing an accelerated modernisation drive, experts said India was vulnerable in the skies because of its reliance on a disparate fleet of ageing Russian-made MiG and French Mirage fighters, along with more modern Russian Sukhoi Su-30s. Half of India’s fighters are due to retire beginning this year until 2024. “It could lead to humiliation at the hands of our neighbours,” AK Sachdev, a retired air force officer, wrote last year in the Indian Defence Review journal. via India’s ailing air force at risk in tough neighbourhood | Reuters. IT’S HARD being a Chinese tourist. Reviled for bad behaviour one day and ripped off by everyone from taxi drivers to pickpockets the next, China’s newly minted travelling classes are having a tough year. In typical fashion, the Chinese government appears intent on regulating away some of that pain. On October 1st China’s tourism industry came under a new set of rules, most intended to curb corruption in domestic travel and ease the burden on guides, groups and tourists travelling within the country. The law includes at least one clause that seems to have been inspired by a series of incidents that have revealed the apparently bad manners of Chinese tourists, on the mainland and overseas. The number of Chinese travelling at leisure, both domestically and abroad, has grown tremendously in recent years, boosted by rising incomes, a less restrictive passport regime and softer limits on spending. The new tourism law aims to help the tourists themselves, mainly by preventing practices like the forced-march shopping excursions that are often led by ill-paid tour guides. The law also provides helpful advice to the many millions of mainland Chinese who do their pleasure-seeking abroad. Section 13 advises Chinese tourists to behave themselves wherever they go in the world. The article is a nod to high-profile embarrassments like the one that a teenager caused by carving his mark—“Ding Jinhao was here”—into an ancient wall in the Egyptian ruins at Luxor earlier this year. Chinese tourists have drawn scorn after posting online snapshots of themselves hunting and devouring endangered sea clams in the Paracel islands, and others have produced fake marriage papers at resorts in the Maldives, in order to take advantage of free dinners. (Closer to home, the new law might have given pause to the group of Chinese tourists on Hainan island who inadvertently killed a stranded dolphin by using it as a prop in group portraits.) Spitting, shouting and sloppy bathroom etiquette have made the Chinese look like the world’s rudest new tourists, from London to Taipei and beyond. A vice-premier, Wang Yang, made note of the problem a few months ago, calling on his countrymen to watch their manners when travelling abroad. The new regulations add legal force to his plea. “Tourists shall respect public order and social morality in tourism activities, respect the local customs, cultural traditions and religious beliefs, take care of tourism resources, protect the ecological environment and respect the norms of civilised tourist behaviours,” as Section 13 instructs. Although it might be difficult to regulate such sensitive matters by fiat, this kind of nudge can have an impact in China. 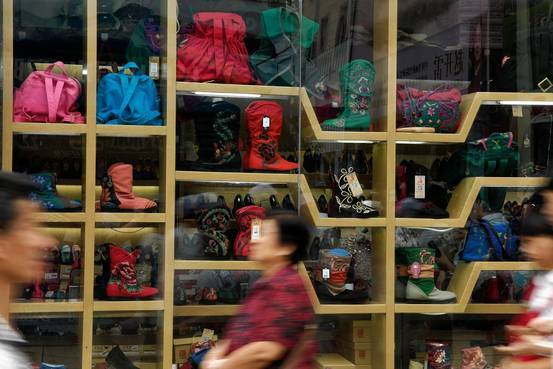 These few headline-grabbing humiliations, along with an ongoing campaign that mainland visitors face in Hong Kong, have made many relatively seasoned Chinese travellers more careful about the way they comport themselves abroad. 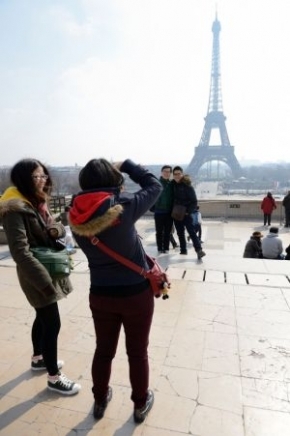 In Paris, ever a favourite destination for Chinese tourists and shoppers, polite French-speaking Chinese guides shepherd their flocks through the sites, apologising when any of their charges bumps into others. via Chinese tourists: Mind your manners | The Economist.